A successful surgical procedure requires coordination between a patient, their care support team (family/friends), a hospital or surgery center, a surgeon, nurses, a pharmacy, and possibly a physical therapist. Treatment and recovery require a coordinated effort with most of the responsibility for complying with instructions falling directly on the patient. The process can be stressful for all parties involved. The patient must make sure that they have coordinated all the tasks with multiple parties. Missing out or mixing up the simplest of instructions can negatively affect outcomes. Failing to remember, let alone understand, what your doctor said can mean the difference between life and death. However, the world's most advanced technology has yet to close the gap between what our doctors say and what we as patients take away from those conversations. 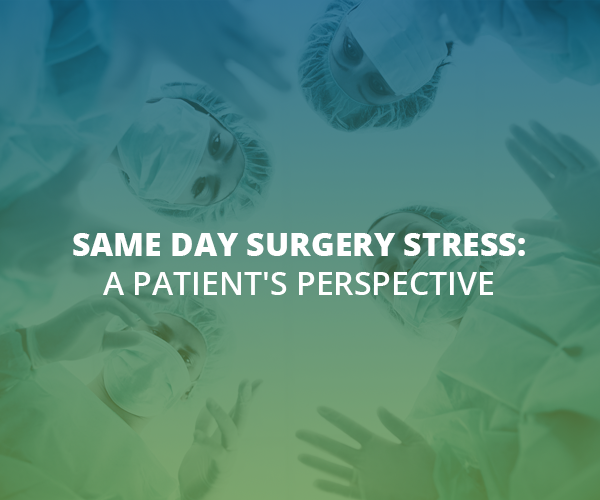 How can we find a way to make same-day surgery less confusing for patients? Fortunately, a more simplified approach to pre-op and post-op communication can go a long way in ensuring compliance while easing stress and improving patient satisfaction. Jane is a single working mother going in for outpatient surgery today; it's all up to Jane to coordinate the details. She must get all the treatment and appointment details straight. It's understandable that Jane has a million concerns about her surgery. It's her first time to go "under the knife" so she's nervous about today. Jane misplaced the surgery prep checklist given to her by her surgeon. Clueless and tensed, Jane struggled to remember important details mentioned by the doctor, all that while trying to call the hospital's main number to find help. 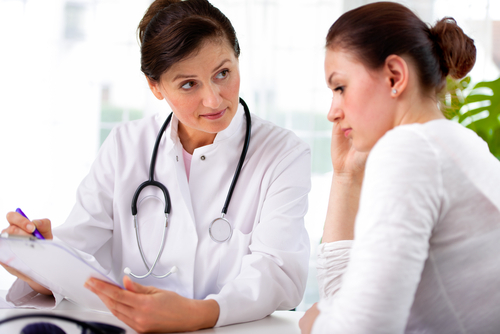 And just when Jane managed to reach the surgical center's receptionist via phone, this person said that she has no clue about her treatment preparation, let alone her appointment details. "the world's most advanced technology has yet to close the gap between what our doctors say and what we as patients take away from those conversations"
Patients receive an overload of forms and instructions. An avalanche of information can bury the high points and printed reminders aren’t enough when it comes to keeping tabs. Likewise, printed pre-op and post-operative checklists can be difficult to read and are easily misplaced. Searching through these documents becomes more difficult as the level of stress and frustration increases. Sometimes one miscommunication can lead to dire consequences. This can be very scary for the patient, and yet, this scenario still happens daily. More and more, hospitals and clinics nowadays are experimenting with cutting-edge apps and messaging technology to solve this problem. Yet none of these new technologies are making it any easier nor are they reducing a patient's anxiety. As a case in point, how can patients be expected to think straight post anesthesia? How can patients log in and navigate an app to get help while in pain? Why make everything so complicated for the patient? Patients often have a hundred concerns, but they can only think of them once the appointment is over. In between the first consultation and the same day surgery appointment, they may ask: Where’s the laboratory? Do I have to bring in extra money? Where will I park? Out of hundreds of rooms in the hospital, where exactly is the one I'm looking for? What should I wear? What can I eat? What will I feel like afterward? Can I go alone or shall I bring another person? How much will be covered and how much will I pay? Who do I call if I feel bad later today? Do I need a follow up appointment? Why not keep it simple by sending a quick text message like the good old days before social media dominated the space? Imagine how easy it would for a patient to receive timely text messages complete with appointment details, explicit instructions, and links to more information about my recovery. Keeping patients in the loop via text messages can dramatically ease stress and save time. That’s where MyCareText comes in handy. MyCareText helps patients to receive timely reminders, critical information, preparation instructions from their doctors and nurses via text messages. No need to join a portal. No need to download an app. With just a cell phone patients and their family members can receive text message updates even if they don’t have an access to the internet. Everyone involved can get explicit directions, links to detailed information, and timely updates about a patient's condition so a patient and and their family can rest assured that all bases are covered. Learn more about how you can improve your patients' and patient family members’ experiences with simple text messaging for Same Day Surgery. Up next, you'll find out how family members of patients benefit from communicating with hospital staff via text messaging.